IVY Classic is dedicated to manufacturing a comprehensive, high-quality line of power tool accessories and hand tools for the contracting, industrial and DIY markets. 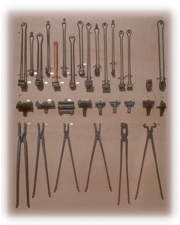 All our tools are subject to strict quality-control procedures to ensure they meet our exacting standards. 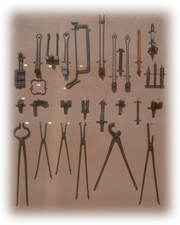 IVY Wrought Iron Works was established in 1929 by an English blacksmith named Albert George Story. Originally, the name IVY was chosen because it contains three letters entirely made up of straight lines. They could easily be cut into any IVY product before the company could afford a punch. Today IVY Classic Industries is still a family owned and operated business continuing the traditions of Mr. Albert George Story. at IVY Classic Industries today. Our Marketing department is always ready to help. 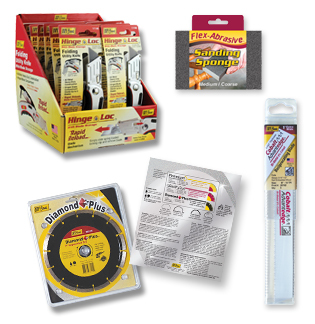 We offer full-color catalogs, brochures and regular promotional materials to help you sell our products. In addition, our extensive nationwide network of sales representatives makes effective use of our mobile show vans. 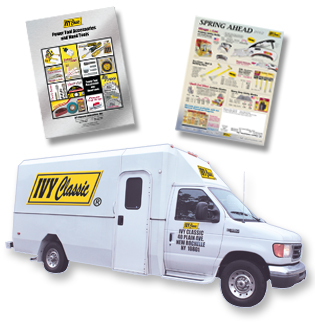 We continually update our package designs to help you effectively promote IVY Classic products. We use the latest in packing materials and our product cards are bar coded and clearly labeled with valuable information to make any job easier. 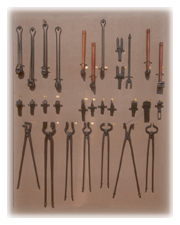 Our Warranty IVY Classic products are warranted against defects in materials and workmanship. This warranty does not apply to damage caused by abuse, misuse, alterations or normal wear and tear. If you are not completely satisfied with any new IVY Classic product please advise us within 90 days and we will gladly exchange the product or issue a full credit at your request. Buy with complete confidence. Safety Warning:To avoid risk of injury when using or in the vicinity of power tool accessories or hand tools always wear safety goggles and other appropriate safety items for protection. Failure to do so can result in bodily injury.